It seems I hadn't taken as many photos of the coop being built as I thought I had. 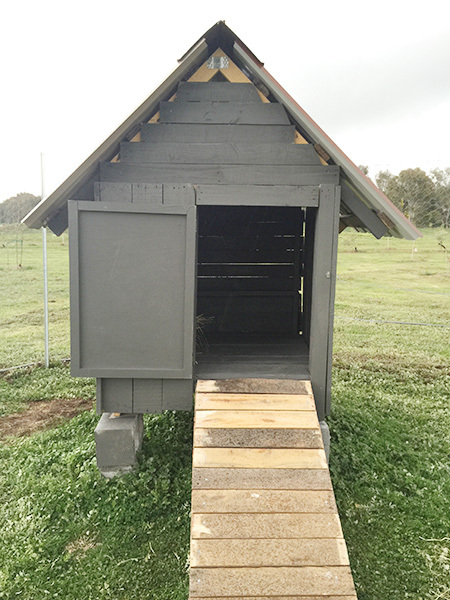 We hoisted the coop up onto a couple of besser blocks to give the chickens some protection from the sun and rain. I painted it using an exterior paint that matches the colour of the house and shed roof. I wrecked my favourite jumper too, by getting paint on myself. 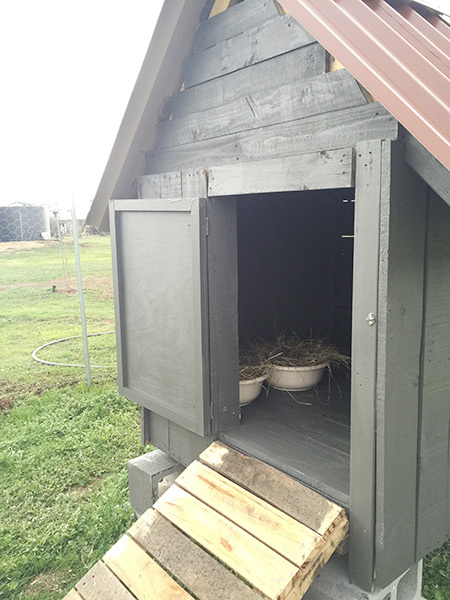 There is absolutely nothing fancy about this coop at all, despite all my grand plans. But, it's functional and the hens don't seem to mind it. 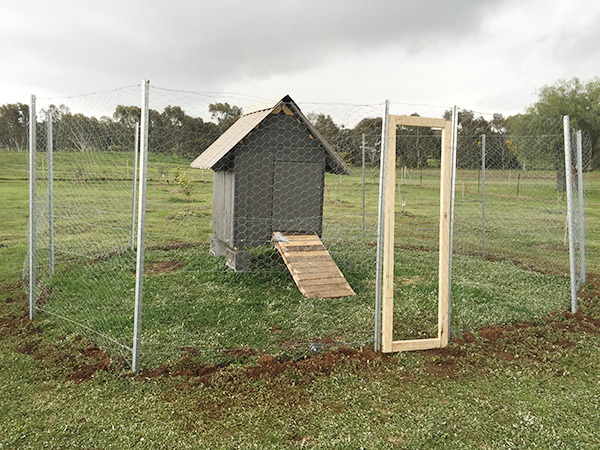 We tried to dig the fence down into the ground, not very successfully, but have since been told that it's better to dig out horizontally anyway as critters will dig close to the fence line and just get chicken wire. I'm sure that between the dogs and locking them away each night, we should be safe enough anyway. 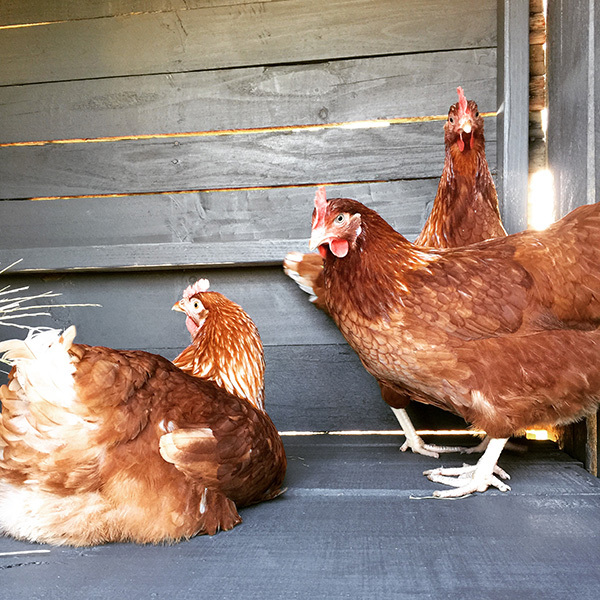 There's a hatchery close to us, so I went out after work and bought our new Isa Brown hens. There's Gimpy, she's the one sitting down. She has a funny turned in leg, so of course we love her the most. The other two are identical and I can't tell them apart so they are called Chookies. The floor has a layer of straw down now. I was finding too many cracked eggs and it's actually easier to keep clean as they crap on the straw. I then use the straw around the fruit trees. And the very next day we had an egg. Success. 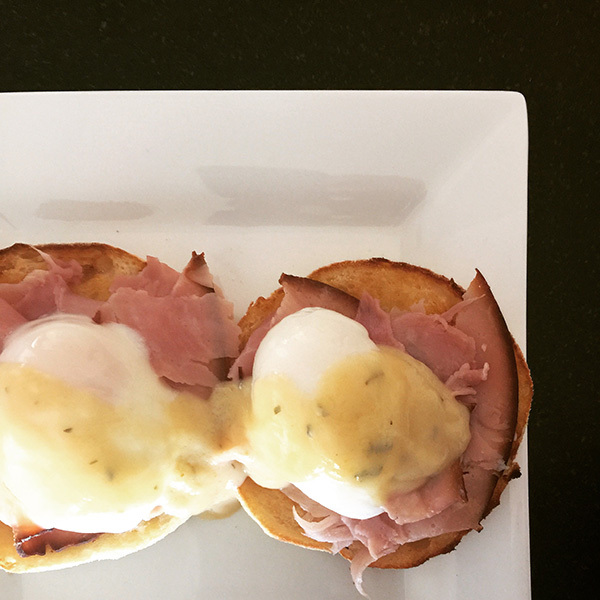 And then that weekend I had breakfast. 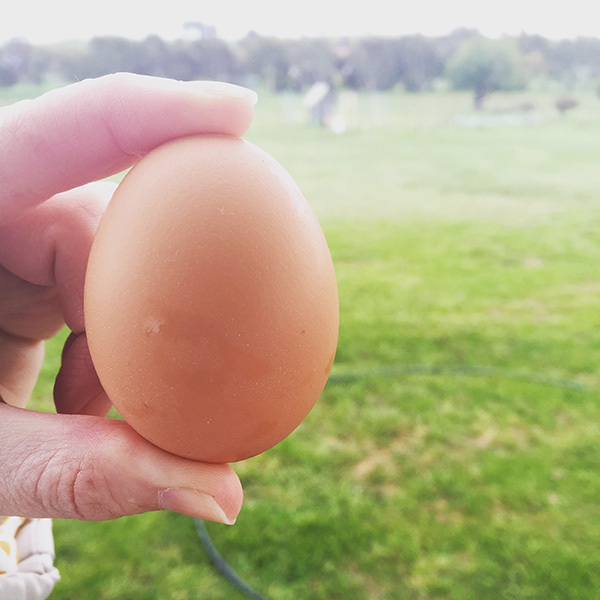 Great job .Hens love ya effort if they are laying already...Well done.